No dual-camera to be seen. 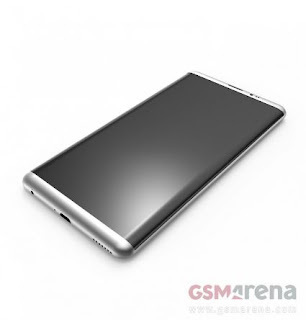 However, the most recent rumors suggest that only the Galaxy S8 Plus model will have one. Galaxy S8 will retain the 2560×1440 pixel resolution of its predecessor, though, so it’s going to be called a 2K display. Expected to come in two variants 6-inch and 5.7-inch display powered by Qualcomm Snapdragon 835 SoC, and Exynos processor.Galaxy S8 might be the first smartphone to feature optical fingerprint recognition technology, which could be placed on the back instead of integrating into the home button. Samsung Galaxy S8 will feature USB Type-C port, Galaxy S8 to ditch the 3.5mm audio jack.